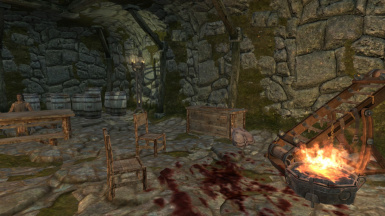 Adds a small bandit-controled fort to the Reach, near Valthume. 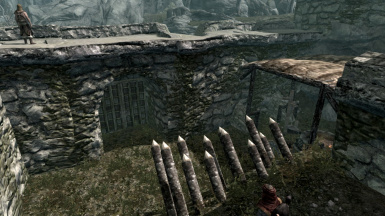 This mods adds a small, bandit occupied fortress, along with a small dungeon. 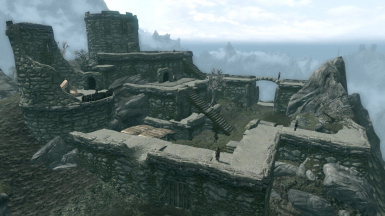 This fort is added to a rather vacant area with beutiful view on inn of old Hroldan and many of Reach's summits, giving you more to do in Reach then mere forsworn killing. 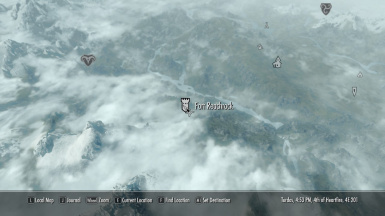 I have always personally thought that the Forsworn occupation of the Reach was pushed a bit too far, on the expense of traditional enemies such as bandits, this mod was designed as a slight satisfaction of re-estabilishing bandits in the Reach. It is recommended that you are at least level 10 for this location, but it should provide some challange to mid-level characters as well. 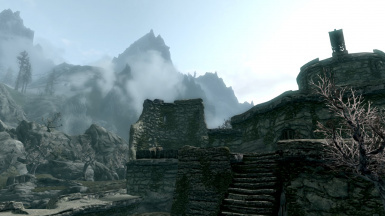 The fort is located South-East of Reachcliff cave (Namira's dungeon), on a path around the ruins of Arkngthamz (visible to Dawnguard owners only) shortly before reaching a nordic ruin of Valthume. 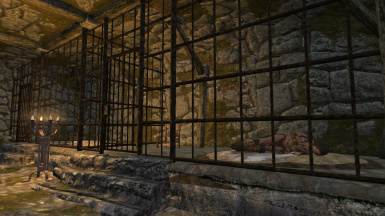 Known bugs: The forsworn prisoner in shackles will fall from them if you hurt her, or if there is a fight nearby. 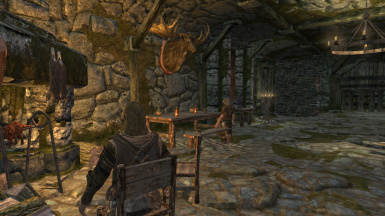 Note: Navmeshing is complete, should be clean with Tes%edit, and the mod is fully playable, but i might be adding some clutter and details later on. Thank you for your comments and ratings!